Sleeping is a task we usually forego most of the time. As a child, we always dread the time we have to take a nap or even sleep early. However, as we grow older especially during our adolescence and early adult days, we tend to skimp on sleep for our otheopcr activities. We’ve even coined the phrase, “Sleep is for the weak”. Unfortunately, slugging through the day with bloodshot eyes and a tired disposition is the worse experience you and anyone around you can get. – Lack of sleep can make you fat. Being fat is quite a hot topic today and if you want to lose weight, you may want to invest more on the hours spent sleeping as opposed to burning your calories for hours on end in the gym. – A good rest works wonder to your brain. Remember when you were younger how adults said that you should get enough rest for an exam. This is quite true thus you’ll want to set some time on when you should study while not skimping on the hours to sleep. – Having a good rest helps with your immune system. This is also one of the reasons why most of those who are sick tend to sleep often or early. Giving your body a rest helps fend off the chances of common cold. – If you tend to sleep less than 7 hours a day, you put yourself at risk of getting heart disease of raise the stakes of experience a stroke. Your heart tends to exert more effort with a fatigue body that’s why it also stresses your body out when you don’t sleep enough. This is perhaps the most challenging task that every individual aiming to have a healthy lifestyle needs to overcome and often fail at doing so. However, here are some tips to actually help you get started and stick to it. Make Time For It: This might sound easy but this is where most people initially fail with despite knowing how important working out is. The secret though in making this work is by making working out as one of your priorities. Write it on a notebook or a planner. Make an appointment ahead of time and do not let other invitations or other circumstances stop you from accomplishing this. Find A Healthy Activity: This means finding an activity that you will certainly enjoy in the long run. Having one helps you keep your motivation into working out and this does not mean that you only have to work out in the gym alone. 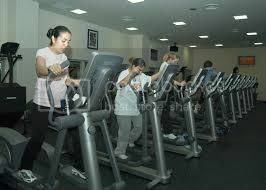 You can also try biking, jogging regularly in the morning or perhaps, joining a Pilates or yoga club. Take Things Into Account:: Do not just work out and pick activities randomly. Take note of the results and of your progress. This will make your regimen more meaningful as compared to just repeatedly doing what you do. By taking note of your progress, you will be able to determine your next course of action and if you need to do more of a certain activity or do some minor adjustment on your diet. It is true that disciplining and focusing on a particular workout routine can be difficult but then again, it is not impossible. You just have to put your will into it. 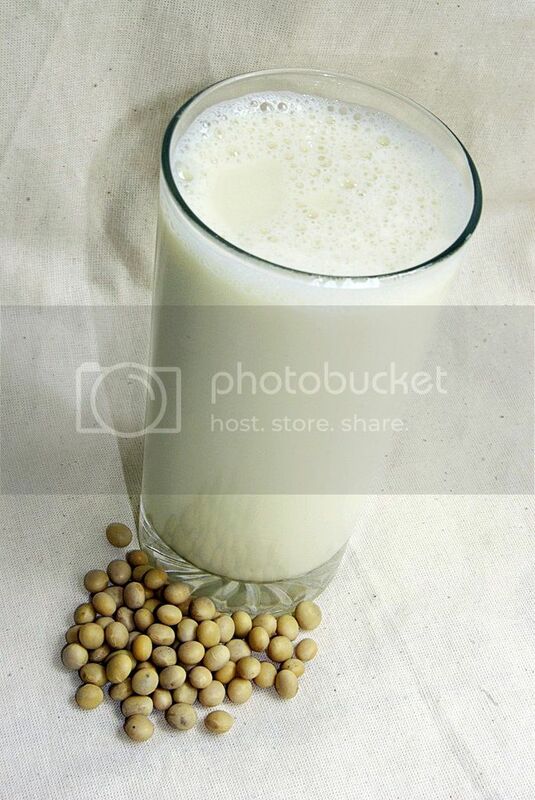 Low Cholesterol: The great thing about soya milk is that it consists of zero cholesterol and consistent intake of soy can definitely lower the triglyceride in the human blood as well as low density lipoproteins. At the same time, drinking soy increases the level of high density lipoproteins or HDL. Strengthens Blood Vessels: Drinking soya milk keeps your blood from experiencing hemorrhage and lesions since it has omega-3 and omega-6 fatty acids. In addition, it also has phyto-antioxidants which helps keep you young. These compound stick to the lining of your blood vessels and defend it against free radicals and cholesterol. Less Fat:One of the best reasons to drink soya milk especially if you are trying to lose weight is that it does not have much sugar in it as compared to regular milk. Furthermore, the monosaturated fatty acids in soy milk can keep your body from absorbing too much fat. Overall, drinking soya milk offers a lot of benefits and these are but a few of them that you should know. If you are someone who is conscious of your health then you may want to make it a habit of drinking soya milk. 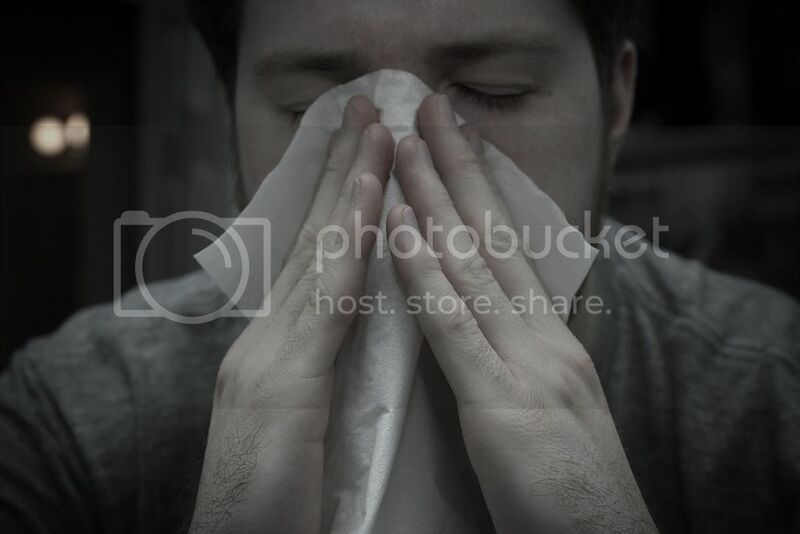 Is it not frustrating dealing with runny nose especially if you have important tasks to finish? Having a runny nose is annoying and can hinder a person from being able to focus on work. Here are some quick solutions to deal with it. Pressure: pressing the corner of your nose at least ten times was said to help relieve sinus congestion which are caused by allergies and bad colds. You can also do the same repeatedly on the area just below your eyes near your nose line. Keep in mind that you need not press hard, just a mild pressure is enough and doing this at least ten times for each side of the face may help. Earlobes: Massaging your earlobes for at least ten seconds also helps in alleviating runny nose. Irrigate: This is perhaps one of the most effective ways of clearing your nasal passages with mucus and other debris. Using water to do so and other nasal irrigation tool works but just make sure that the water you are using is filtered or boiled and be careful in inhaling the water or else it may cause more allergy than not. Blowing Your Nose: This is also an effective way of keeping up with a runny nose however, make sure you do this gently because applying too much pressure may potentially damage your ear drums. Furthermore, blowing your nose will often cause your skin to turn red and sore around the nose part. In addition to the above tips, having a decent and sound sleep also helps a lot in getting rid of this bad condition. If none of these tips works then you may want to visit your local clinic and get a checkup. A lot of people take drinking for water granted without realizing that drinking lots of water offers a lot of health related benefits. Reduces Fat: If you are one of those people who are struggling to lose some weight, know that drinking lots of water can help decrease the by-products of fat breakdown. At the same time, drinking water can keep you from getting hungry, not to mention the fact that it does not have any calories. Dehydration Remedy:If you are dehydrated and getting some bad headache and nasty back pains because of it then drinking water can actually remedy the situation. At the same time, it can make you look younger since it keeps your body hydrated. The reason behind this is that it regenerates damaged tissues and improves skin elasticity as well as moisturizes it. Increases Brain Activity: Drinking lots of water can help your brain be more productive, alert and help you focus more. The reason behind this is that the brain consists mostly of water which it needs to function. Improves Digestion: One of the good things that water can do for you is speed up your metabolism. Doing so improves digestion since fiber and water work together which keeps you from experiencing constipation. 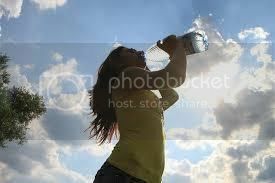 So if you have not made it a habit to drink lots of water, now is a good time to be drinking lots of water. • Skin Lightening: Wonder why a lot of soap these days has papaya extract as part of their ingredients? The reason behind this is because papaya can help lighten up a person’s complexion as well as remove acne. 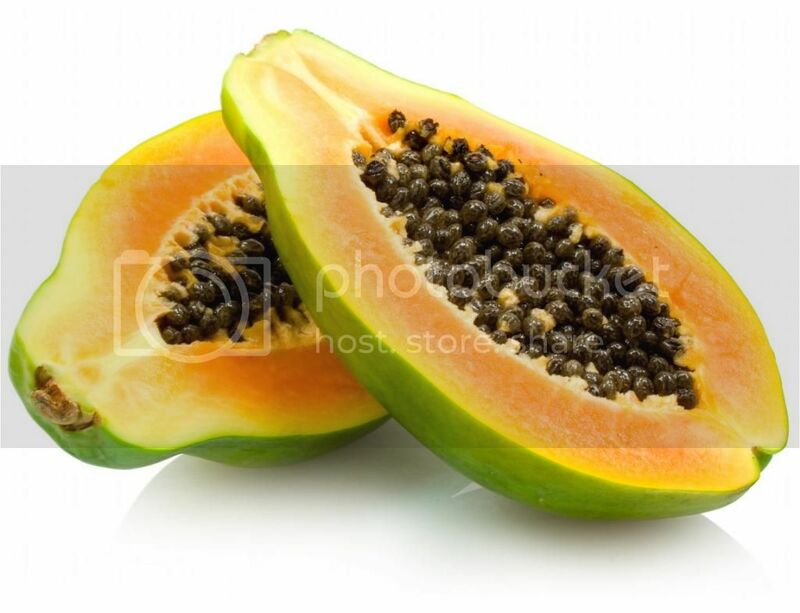 Papayas which are utilized as face packs help open pores which in turn make skin glow. It has the enzyme papain which is a contributing factor in dissolving dead skin cells which opens up the opportunity for the skin to regenerate fresh cells. • Anti-Oxidants: Because papaya is high in fiber, eating papaya helps the body lower its cholesterol levels. It contains anti-oxidants which keeps cholesterol from oxidizing that can eventually cause heart ailments. • Vitamins and Other Health Benefits: Papaya offers a lot of vitamins to the human body such as vitamin A and a high amount of potassium. Its seeds and leaves also helps when it comes to treating intestinal worms found in the human body as well as prevent constipation. It also keeps the body from acquiring infections in the colon by removing infection, pus and mucus in it. In addition, the skin of the papaya can also be used in treating physical wounds especially areas which does not easily heal. Overall, papaya is one of those fruits which people tend to neglect but is something that they should start consuming once in a while. Mouth-Wash: It does not mean that gurgling mouth wash is that it will permanently remove your bad breath. The truth is that it is only a temporary fix. If you are looking for something that is more effective, make sure that you look for a mouth wash which can kill bacteria or has an antiseptic. A product having a seal from the American Dental Association or ADA is a good sign that it can do the job. Brushing Effectively: Most people are used to brushing their teeth around thirty to forty-five minutes but the truth is that it is not enough. You should brush your teeth for as long as two minutes to ensure that it is effective as well as your tongue since some germs often reside around your tongue. Breathing on Your Hand: Just breathing on your hand will not let you know if you have bad breath. Bad breath stems from the back of your mouth which is blown out whenever you talk. The thing is that breathing and talking are two different functions of your throat. Furthermore, people are often used to their personal smell or odor that they tend not to notice any bad odor generated by their bodies. In order for a person to have healthy gums, it is important that he knows how to properly take care of his teeth as well as having the discipline to do so. Is it frustrating when you are suffering back pains and you seriously need a good therapy but you do not have the luxury of time to get a good massage? The truth is, a lot of people are suffering from back pains every day, especially those who are focused on their computer the whole day. But the good thing is that there are ways to relieve you of such troubles even if it is a temporary solution. Do Some Stretching: One reason why people tend to have body pains in general is because they lack exercise. This is true when it comes to back pains. The fastest and easiest way to remedy this is by doing some stretching on a daily basis. Doing so relieves spasms and muscle tensions which causes back pains. Take Vitamins: Taking a good amount of B Vitamins can help keep you from suffering chronic pain and also supports your nervous system. This also helps strengthen your immunity system. Having a good dose of Omega-3 fatty acids is also good because it has properties which can lessen inflammation in the body’s muscles. Have Decent Rest: The thing is that people tend to neglect the importance of having a good rest. The human body is frail and it gets strained on a daily basis regardless of what you are doing. This is why it is important to let your muscles rest for a while so it can recover. Try relaxing your back by lying on soft pillows. You can also roll a hot towel and place it under your neck to make it feel more comfortable. Use Ice: This is effective especially when you are injured since blood rushes fast to the injured area which can cause it to swell. By putting ice packs on it, you can reduce the swelling of the inflamed area. This also helps the body heal the injured area. Though ice can only numb the pain for a short time, it still does lessen the pain and helps you from experiencing them. Just be careful in how you are applying it. What you do is to dip a warm towel in a slightly hot water then wring out the excess. After that, place an ice pack or some ice cubes on it. Then immediately apply the towel over the inflamed body part for around twelve to fourteen minutes. You can repeat this process as many times as you need. These tips may not permanently solve your back aches but then again, it should relieve you of your ailing for a short time. There are two types of leukemia: Acute leukemia and Chronic Leukemia. Acute Leukemia: This is kind of leukemia is common in children and is characterized by the rapid growth in number of immature blood cells. Because of this, the bone marrow will not be able to generate healthy blood cells. Because of the rapid spread of the cancer cells in the body, this requires immediate attention. Anemia: The person suffers anemia. This is because bone marrow abnormalities cause a low number of blood cell production. Fever: Leukemia can cause a person fever even without the patient contracting any opportunistic infection or pathogen. And because of this, the human body’s immunity system will weaken making the body more susceptible to other infections. Bleeding: Because of the large number of cancer-infected cells passing through the blood vessels as well as the decreased number of platelets and other infections in the human body, the afflicted person will have red spots throughout his or her body. Gastrointestinal Failure: This is often caused by radiation therapy the patient goes through. Chronic Leukemia: This on the other hand can affect any individual regardless of his or her age. Unlike Acute Leukemia, Chronic Leukemia is monitored first before treatment is done. This type of leukemia takes months and even years for it to completely progress and for this reason, health professionals take their time before taking action so as to make their actions effective. This is characterized by an over-production of mature but abnormal white blood cells. Early Stage: This does not show any visible symptoms however routine check-up reveals an abnormal blood picture of an enlarged spleen. Secondary Stage: The patient afflicted by the said ailment experiences one or all of the following: fatigue, excessive sweating especially in the evening, gradual weight loss and hyperthyroidism. Advance Stage: The person’s complexion becomes pale as well as his or her lips. There will also be small red spots under the skin, mucous and will develop mass in the tissues of the eye sockets and skull. Leukemia is a dangerous ailment but then again, it can be treated.